Buglife is the only organisation in Europe devoted to the conservation of all invertebrates. We're actively working to save Britain’s rarest little animals, everything from bees to beetles, worms to woodlice and jumping spiders to jellyfish. Our aim is to halt the extinction of invertebrate species and to achieve sustainable populations of invertebrates. Butterfly Conservation was founded in 1968 and is a Uk charity dedicated to saving butterflies, moths and our environment. We are the largest insect conservation charity in the world with 29,000 members and over 70 staff. Our research provides advice on how to conserve and restore habitats. We run programmes for more than 100 threatened species and we are involved in conserving hundreds of sites and reserves. We co-ordinate national monitoring programmes and report on the status of butterflies and moths as indicators of the health of the wider environment. Volunteers and volunteering are core values of BC with over 15,000 volunteers who contribute hugely to recording, citizen science and conservation delivery. ClientEarth uses law as a tool to mend the relationship between human societies and the Earth. We work in Europe and beyond, bringing together law, science and policy to create practical solutions to key environmental challenges. Strong laws are the best tools we have to protect the environment. By combining our legal expertise with scientific understanding, we work to tackle issues ranging from climate change to habitat loss, air pollution to deforestation. The Environmental Justice Foundation (EJF) is a UK-based non-profit organisation working internationally to protect the environment and defend human rights. We work to protect bees and other pollinators, like moths and butterflies, and to sustain the wild places and wild flowers vital to their existence and ours. We campaign against the use of harmful pesticides, such as neonicotinoids, and promote organic farming and gardening methods that reduce pesticides, provide vital pollinator habitats, increase biodiversity and sustain a healthier environment for them and us. Britain’s bees are in trouble. That’s bad for them - and for us. Bees pollinate many of the foods we take for granted from apples and beans to strawberries and tomatoes - even chocolate. 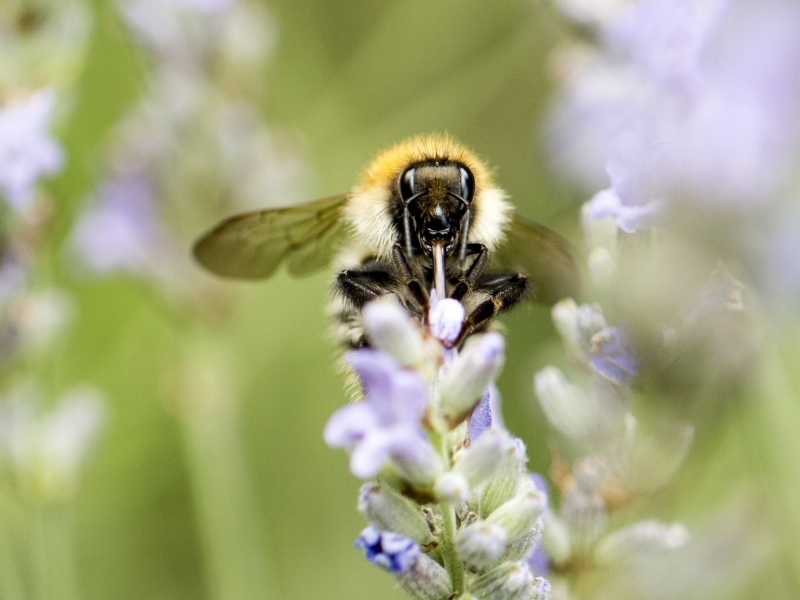 Friends of the Earth launched The Bee Cause in 2012 to turn round the plight of our bees by tackling all causes of bee decline – from habitat loss to the use of pesticides. Over 500 communities across the nation creating new improved spaces for bees and pollinators - called Bee Worlds - in their area. We’ve brought people together to act for bees and pollinators - from businesses and scientists to farmers and local councils - to turn their concern into action. And with Bee Coalition colleagues and others such as The Women’s Institute we have also pushed for changes in how pesticides are tested and regulated. The Natural Beekeeping Trust was formed in 2009 in response to the need for an alternative approach to the care of bees. to develop new understandings and ways of relating to the Bee that work with the natural behaviour of the creature rather than the enforced and stressful behaviour seen in conventional, chemical-dependent, beekeeping. The Pesticide Action Network UK (PAN UK) is the only UK charity focused on tackling the problems caused by pesticides and promoting safe and sustainable alternatives to pesticides in agriculture, urban areas, homes and gardens. 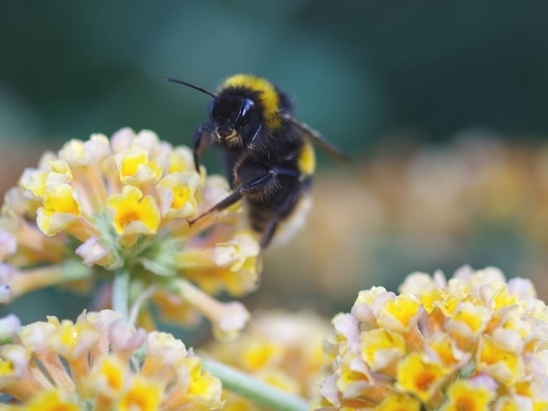 PAN UK has for many years been concerned about the harm that the use of pesticides is doing to bees and other pollinator species. We have been campaigning for an end to the use of bee and pollinator toxic pesticides and also for changes in the way agricultural pesticides are used in general in order to stop the negative impact they are having on pollinators and biodiversity more widely. The Soil Association was formed in 1946 to pioneer a better world – one where we can live in health and in harmony with nature. Today we’re just as dedicated to making positive change happen. We’re farming and growing, buying, cooking and eating. We’re campaigning and researching. Together we’re transforming the way we eat, farm and care for the natural world. We believe in a world where people and planet thrive – but more importantly we’re pioneering practical solutions to make it happen. The Scottish Wildlife Trust is Scotland’s leading nature conservation charity, representing over 40,000 members who care for wildlife and the environment. The Trust seeks to raise public awareness of threatened habitats and species and manages 120 reserves Scotland-wide. No matter where you are in the UK, there's a Wildlife Trust protecting, championing and taking action for nature in your area. There are 47 Wildlife Trusts covering the UK, the Isle of Man and Alderney. Together, we manage over 2,200 diverse and beautiful nature reserves, covering more than 98,000 hectares. In England, 93% of people live within 6 miles of one of our reserves and we run marine conservation projects around the coast. Supported by 800,000 members, including 150,000 members in our junior branch, Wildlife Watch, we have a mission to create Living Landscapes and secure Living Seas: thriving areas of land and ocean rich in wildlife and delivering benefits for society. We touch the lives of millions of people, inspiring them to value wildlife and empowering them to act for nature.